This is a rare opportunity to build your legacy as a Service Manager! If you have a passion for service management, empathy for technicians, AND the desire to help create a world-class service department, then bring your leadership experience to a premium brand dealership in the Sunshine State! Share your strategic ideas for improvements, investments, technician training, and ways to evolve to increase the profit line. Make your mark on a growing dealership and work directly with the General Manager to bring the already successful branch to an even higher standard. 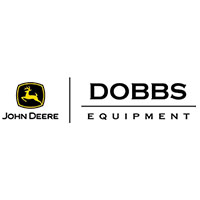 Dobbs Equipment, an authorized full-service, multi-location John Deere equipment dealership, is searching for a strategic-minded Service Manager for their branch in Orlando, FL. Relocation assistance is available to well-qualified candidates. Benefits package – Includes medical, dental, vision, life, disability, 401k, and more. This is a critical position that oversees a team of Service Supervisors that are responsible for scheduling of shop work, assigning personnel to specific work orders, giving work direction to Service Technicians in the repair of equipment, maintaining a schedule of field service work to be done while scheduling personnel for such, and maintaining a list of trucking to be done on pick-up and delivery of equipment. Service management experience with significant mechanical experience in any of the following industries: automotive, heavy truck, mining, construction, heavy equipment, or lean manufacturing. Experience with continuous improvement is a plus. About the Company: Dobbs Equipment is an authorized full-service John Deere equipment dealership in central and south Florida. They work to serve the needs of customers in the residential, commercial construction, site development, underground and aggregate & mining industries. Dobbs Equipment is your authorized full-service John Deere equipment dealership in central and south Florida. We work to serve the needs of customers in the residential, commercial construction, site development, underground and aggregate & mining industries. Our goal is to support our customers from end to end in the markets we serve. Our services include the sales of new and used equipment, parts, service and rental. Our 8 locations are strategically located to provide world class support to our customers throughout our territory. Our administrative headquarters and one of our branches are in Riverview, FL (greater Tampa area). We also call these locations home: Lutz (north Tampa), Orlando, Sarasota, Fort Myers, Miami, Pompano Beach and West Palm Beach. In addition, we represent other top tier brands in the construction industry such as Hitachi, Bomag, FINN, NPK, and others. Dobbs Management Services acquired the dealership from John Deere in November of 2017. From day one, the team is building on the great legacy and foundation inherited from John Deere. Commitment to our customers and integrity in our actions are the basis of who we are.